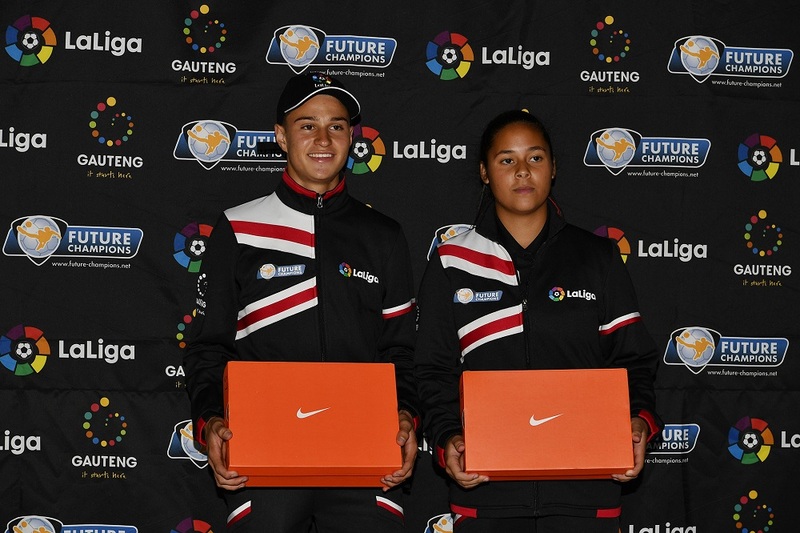 Four young South Africans plus a young football coach have been granted the opportunity of a lifetime. 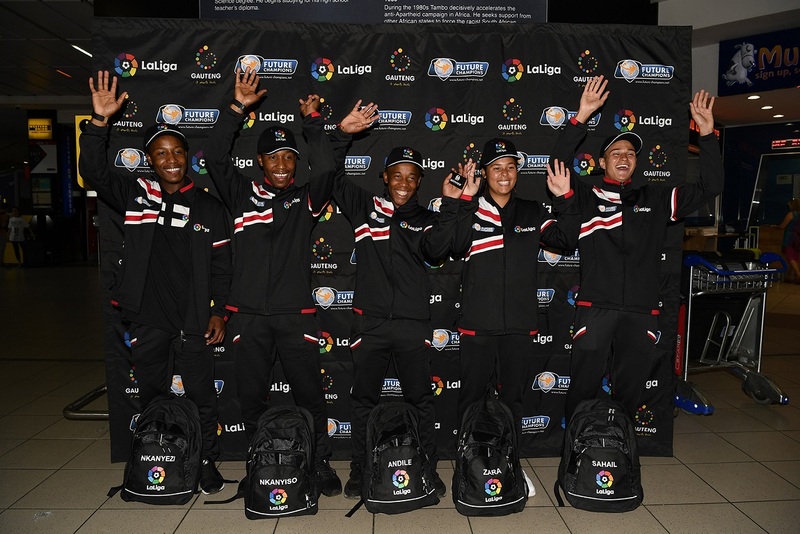 They have headed off to Spain where they will be training with some of the teams from the La Liga and taking in the Spanish footballing culture. The youngsters were chosen from the 2018 Future Players Talent Search.Â After competing with 10 000 other players the four made it to the final. The Daily Vox team spoke to them just before they left for Spain. 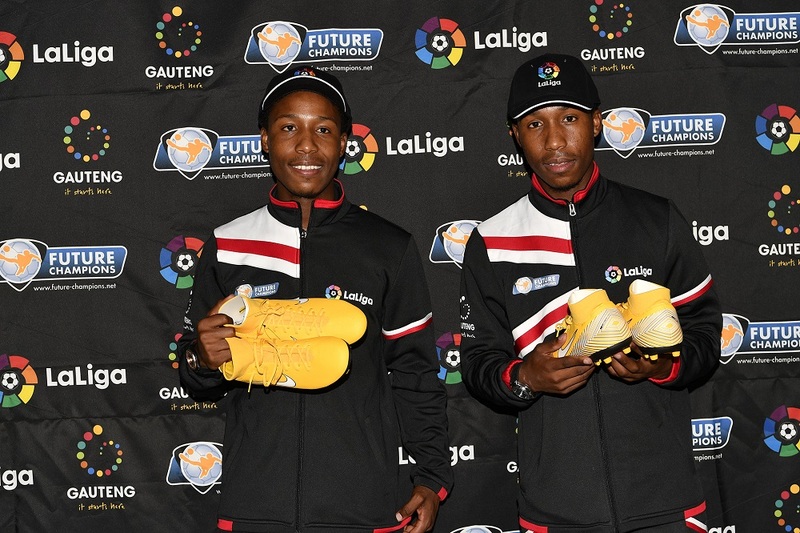 Nkanyiso Maphosa: The thing I am most excited about is seeing the academy bases of Barcelona and Espanyol. I want to learn as much as I can. Spanish football is really developing. Their tactical and technical brilliance is ahead of most leagues in the world. So to go there and learn will the most brilliant thing I can get out of the trip. It was a long and tedious process. Khanyeza Maphosa: I am incredibly excited. It is a once in a lifetime opportunity. This is the kind of thing that you canâ€™t put into words and you canâ€™t quite describe it. I am just looking forward to the whole experience. Visiting the Camp Nou is the thing I am most excited about. Sahail Moosa: I am really excited because it is a once in a lifetime opportunity. Not many get this opportunity and I am grateful to Allah for granting me this opportunity. At first it was unreal to me and I thought it was all dream. But I realised it was all the hard work and effort that Iâ€™ve put in that brought me here today. I am looking forward to training with the other teams and seeing other teenagers my age and their type of football style that they play. Zara Wilkinson: I am a bit nervous but I am buzzing and exciting. Honestly, I am looking forward to training with the big clubs over there. And also watching Barcelona live. I am a Real Madrid supporter but Iâ€™ll take it. 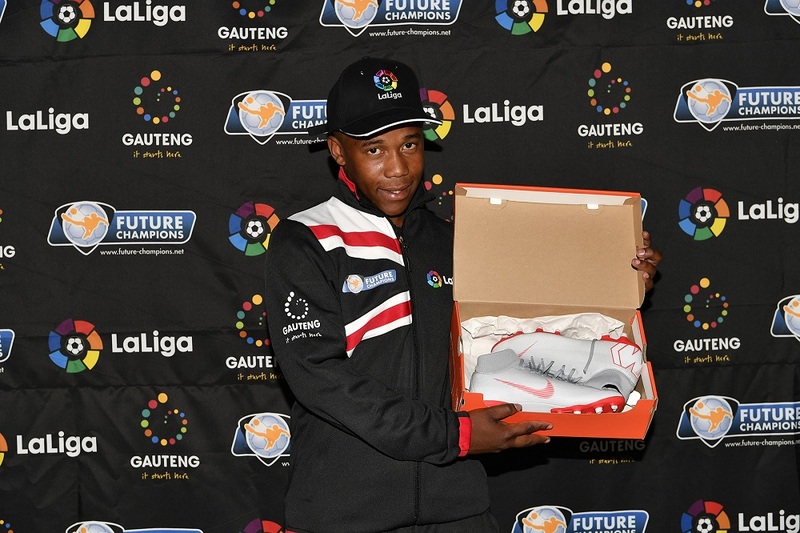 Andile Zulu: I am so very excited because it is my first time going out of the country to get so more experience and to see what other sides are doing in football. Firstly, to meet good players like Messi. Secondly to learn more about how they do things in that side and understand their culture and how they develop young players. I want to grow as a coach to understand more and how they deal with the players. What was the process of getting chosen like? NM: There were a lot of drills. Initially Future Champions came to our district in Lenasia. They made them do technique drills. From there going forward they selected players from there to go to the finals at the Nike Stadium. Initially as everyone knows Iâ€™m sure, only three of us made it: me, Zara and Sahail. My brother was then invited my La Liga. The way back home on that day when only one of us made it was very a very terrible way back. Everyone was in tears. The fact that he is coming with will make the trip more special. KM: It was quite a long process. It was tiring mentally of course because you are waiting for that call back. Itâ€™s a bit difficult at times. It affects you when you play with your club. Future Champions came to Lens (Lenasia) to identify the talent and they assessed us and it was all over and done with. They were supposed to call us in the near future which they didnâ€™t. But fortunately for my brother and I some angel from somewhere managed to call us last minute and we had a trial and went through. SM: It started when I played for SAFA Johannesburg in the Gauteng Cup. I attended the skills test there and I got chosen to come to Nike stadium where the final trial was done. From there they chose the top 15 who took part in the final test and after that they chose the top 4. ZW: We showed up on a day with over 10 000 others kids. Basically from the 10 000 kids we were cut down to 20. We went through another skills section and then from the 20 we were cut down to the 4 of us who were selected today. Itâ€™s surreal to me to actually think that I made it because we were up against national players. I am proud of myself doing and achieving what I did. AZ: I attended a coaching course. We did a few assignments, we got tested and did some drills and got chosen. Advice for people who want to be a Future Champion? NM: In your respective divisions and clubs, no matter how young or old you are you make train and be confident. Keep themselves fit and healthy. Engage in good habits. When the opportunity comes on the day, itâ€™s important to remember why you are doing it. Be confident in your own ability and hopefully something special will happen. KM: Honestly, speaking to give it your all. Itâ€™s a bit cliche to say no pressure because pressure exists but you must give your all. You must be willing to work hard. Luck comes to those who never expect it. Just keep on playing and things happen when they are supposed to. SM: You should take the competition seriously because you can go really far with this. Itâ€™s an eye-opener because you can see where you can go with football. Football is not a joke and there are many ways in which football can help you. ZW: Honestly, itâ€™s going to sound a bit cheesy but if you can dream it, you can do it. AZ: Be patient and understand football. Love football and build players so that they can make it in football. Football to me is where I get peace.